What is a pony car, and what does it have to do with the Ford Mustang? What exactly is a “pony car” and how did that term originate? Many people connect the term “pony car” to the Ford Mustang because of how often the two titles are used interchangeably. The assumption is that a “pony car” is strictly referring to a Mustang because, well… obviously–horse terms. But there’s more to a “pony car” than that. 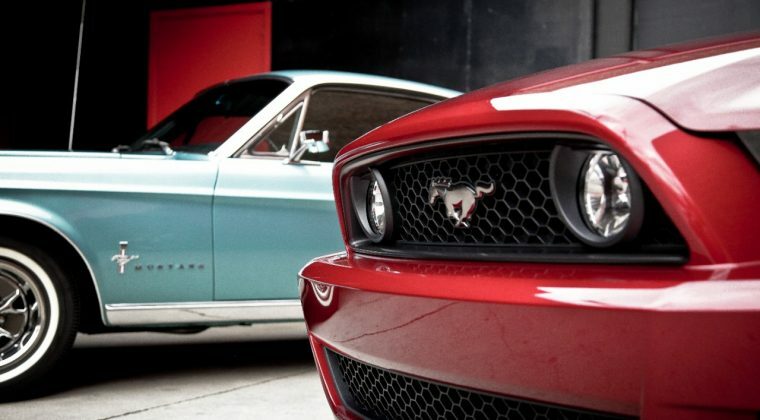 It’s true that the origin of the term “pony car” came from the Ford Mustang when it debuted in 1964. Its unique size and engineering defied the currently existing list of classifications, so a new title was invented, referring to the badge and the car’s performance: the pony car. 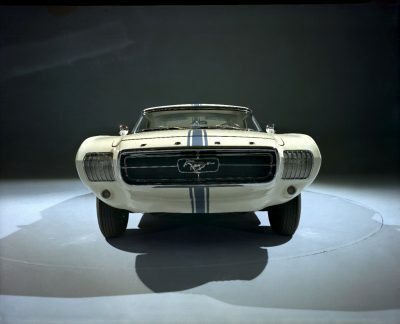 While some experts assert that the Mustang wasn’t technically the first pony car, the car did undeniably lead to the invention of the term and how we use it today. The release of the Ford Mustang led to competing American automakers to release similar vehicles of their own, such as the Chevrolet Camaro, Plymouth Barracuda, AMC Javelin, and Pontiac Firebird. The majority of competitors shared similar traits: cheap price, long hood, short deck, wide potential for customization, and appeal to youthful demographic. That leads many people to wonder what the difference between a muscle car and a pony car is–if there is one. While gearheads debate what the exact qualifications are, many make the following distinction: muscle cars are full-size cars with big engines, while pony cars are more compact with smaller engines. Essentially, the line falls on chassis and engine size. Bottom line is, a pony car is an affordable American-made sports car that’s stylish, compact in size, and above-average in performance. In the 1970s, emissions standards and the desire for bigger, faster cars led to the demise of the pony car class. While most automakers other than Ford have drifted away from the “pony car,” both in nomenclature and in design, its legacy will live on.